Timber arrives at GIR as raw material. It is dried in a kiln and treated for 30/60/90/120 days and then stored in the dry material warehouse ready to enter the production process. The first stage in the process takes place in the first facility, i.e. in the Facility for Production of Panels and Elements. This mechanized and technologically advanced section employs over a hundred people. 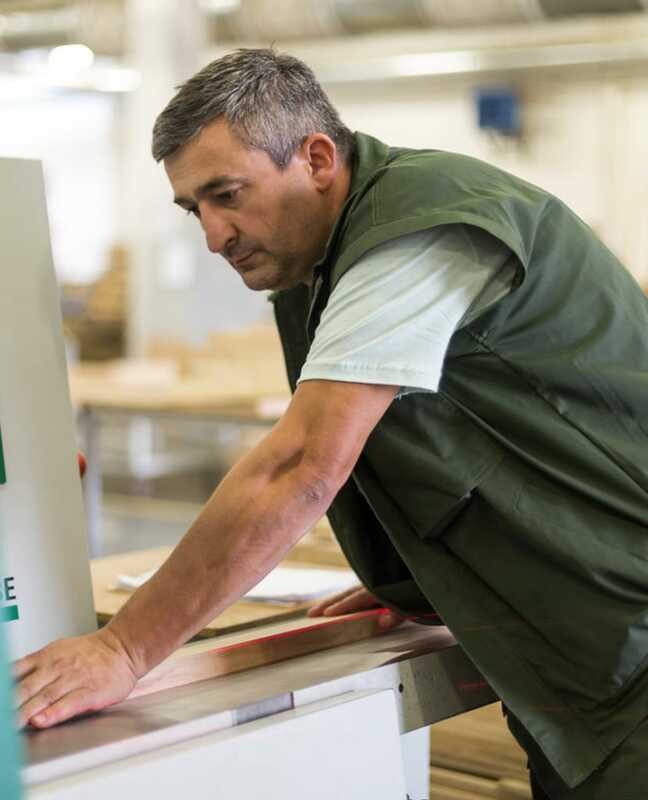 In this stage of woodworking, timber is shaped and processed into panels and elements which continue their production cycle in the Mechanical Facility. It is here that complex mechanical operations are performed. In order for the engineers working on complicated CNC machines to be able to proceed, adequate preparation work has to be carried out in the first facility. The work schedule depends on the needs. Each section is given a list of tasks in advance, detailing the work and the time schedule. The first facility is closest to raw material and nature, but on the other hand it depends on machinery. Since wood is a specific material, “alive” and demanding, it takes some time and patience to really get to know it. Patience also includes focus, because these are complex machines. Work on an element does not necessarily require knowledge about the final product, but the fact that a large number of workers at GIR have worked in all sectors in the past and are familiar with almost all stages in the production of a single piece of furniture is conducive to more efficient and more professional work. This facility is also important when it comes to savings in raw material. This section, indeed, represents the time and place where economical use of materials is treated as a priority. The first facility is an important place for the whole factory and other processes. 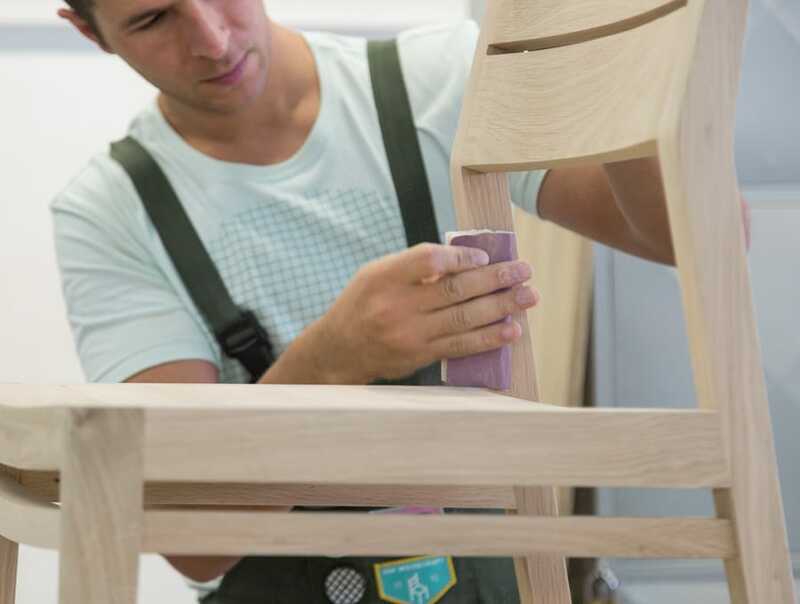 For wood itself, it is the place of passage, because this is where wood ceases to be part of nature and becomes timber used in furniture production. 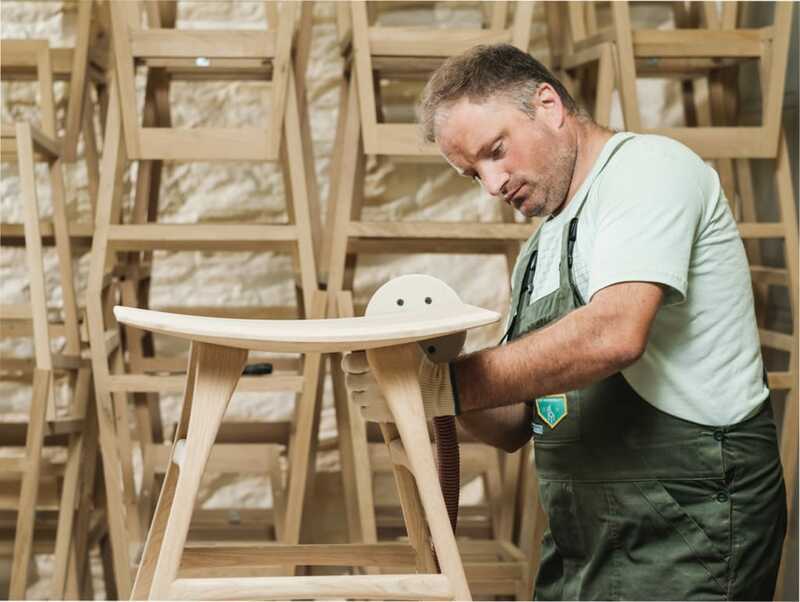 We have a romantic idea about the woodworking trade and how a single piece of furniture is created because it is something miraculous indeed. Man takes from nature and skillfully creates something following his own vision. When this picture of creation of a piece of furniture is transferred into the entire series, adding in the cutting edge-machinery and technology, you get the complex creative and production system that is the GIR factory. 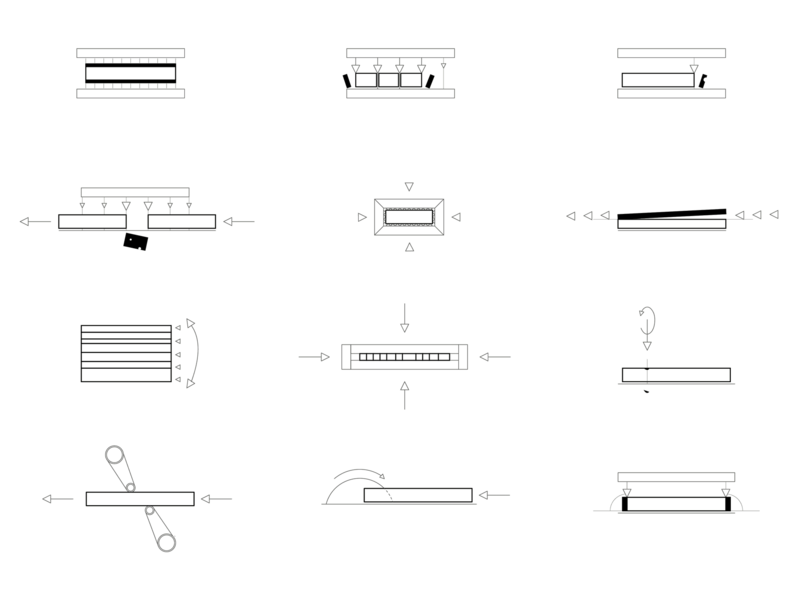 At GIR, furniture is created following a complex algorithm which includes dozens of different stages and processes. The last process that wood undergoes before the final packaging and final control is wood finishing, the process of refining a wooden surface. Before the product reaches the surface treatment facility it stays in the assembly room, where all the elements coming from various facilities are joined and glued in the presses and the product gets its rough shape. The product obtains its refined shape in the surface treatment facility where each piece is manually sanded and polished, and prepared for the next phase, which takes place in the chambers for oiling and painting. Before entering the last section in which the pieces are secured and packed, they are coated with varnish, lacquer or paint using spray paint guns… Currently, there are 110 people working in the surface treatment facility, including both older, experienced workers who have been there since the founding of the company and went through all the processes and all the facilities, and those who have joined recently, young and enthusiastic workers who have always worked in the same facility. People who work in this facility point out that maximum commitment is necessary in order to obtain a quality product. They also stress the importance of looking at the whole product, i.e. the path it passes from development to packaging, which is closely associated with team spirit which is wholeheartedly fostered. 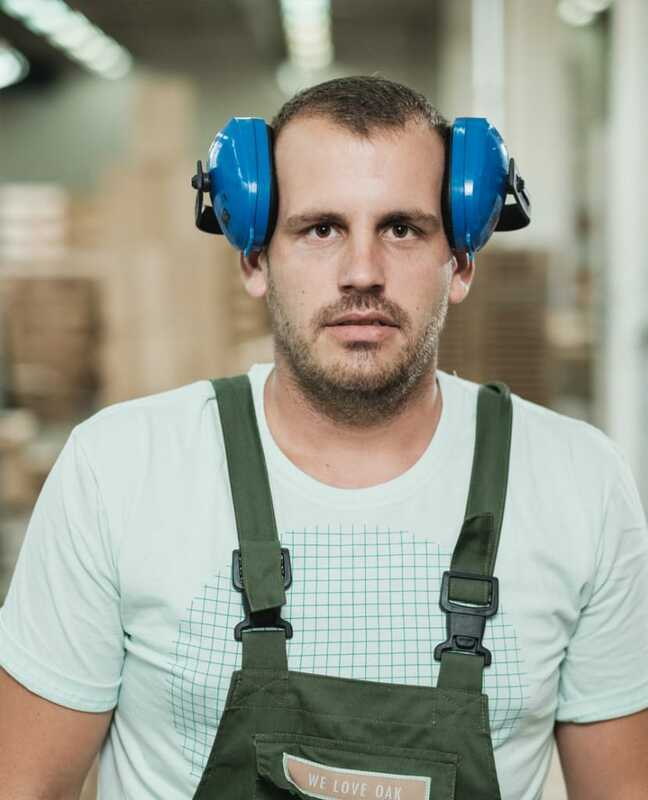 This facility is mechanized and equipped with the latest machinery which fulfills the highest standards; still, the manual skill and experience these workers have is simply irreplaceable. When you go through all the facilities and in the end get to the wood finishing, you realize the length and difficulty of the path wood takes from the moment it enters the factory as raw material. The path is long, noisy and quite mechanized. The finishing is quieter, the people are calm, and quite aware of the importance that the final touch has. The atmosphere is almost meditative. People work with their hands. The facility is mechanized as much as necessary, but there remains a strong impression of human touch, the final seal without which a piece of furniture would not be what it ultimately is. Wood finishing is the last stage wood passes in the factory. 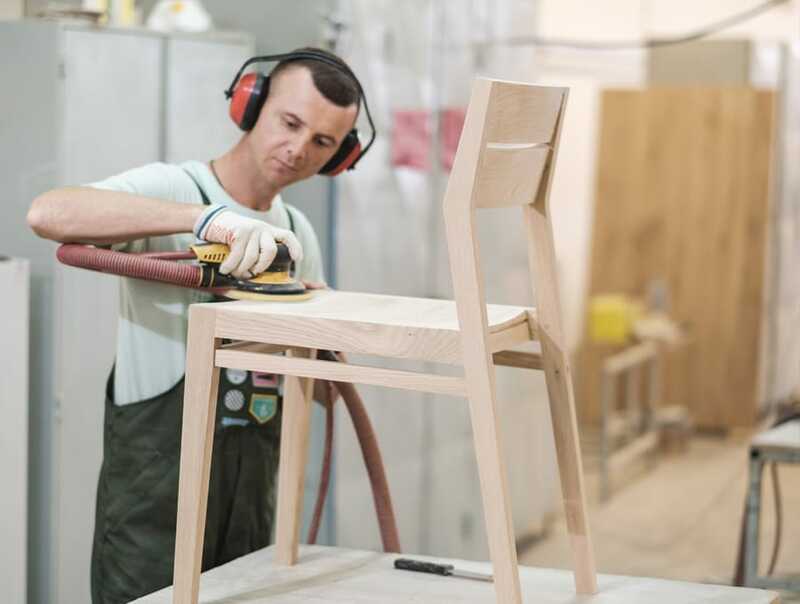 After this process wood is no longer material or timber – it becomes furniture. Manifold meanings ascribed to wood, in different times and different nations, carry both material and symbolic value.